Was a bit peckish so tried a portion of mini spring rolls with sweet chilli sauce. A nice afternoon snack good work Woks Cookin. Open plan and service with a smile. The best Chinese takeaway in Parkhead. The Woks Cookin Takeaway is one of the most famous in Glasgow. 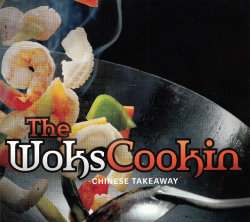 The Woks Cookin offers a wide range of cuisine for the budding takeaway lover. The main cuisines are Chinese, Oriental. the hot and spicy chicken balls are amazing best ive ever ta ..